IDF™ and marketing partner BarnDad™ Nutrition introduced thousands of fitness fans to the next generation of CHiKPRO™-fortified products, when MEAT-SNX™ Crispy Protein Bites made their first appearance at the 2017 Arnold Fitness Expo in Columbus, Ohio. 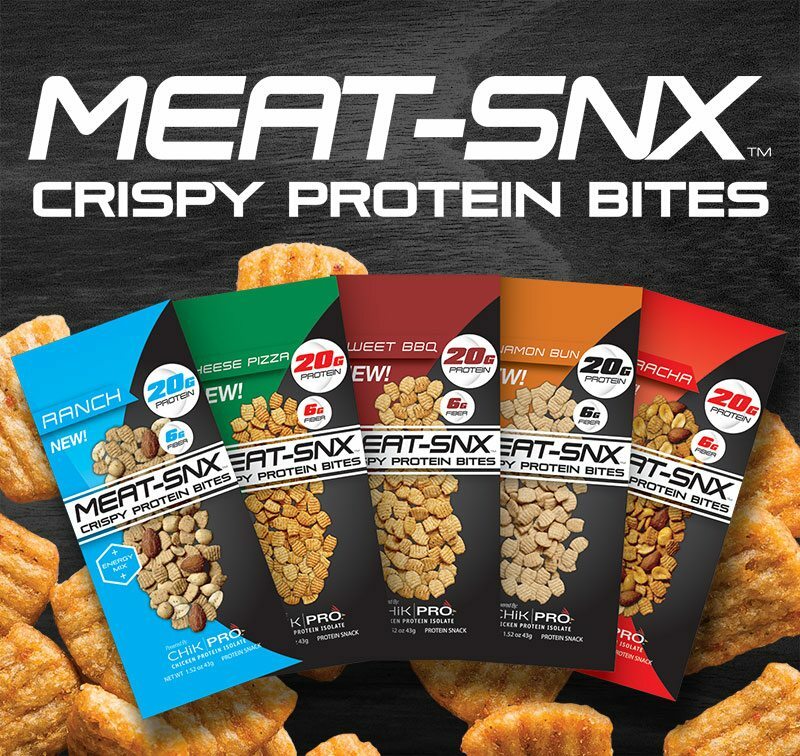 MEAT-SNX™ are the first protein snacks on the market featuring real, 100% chicken protein powder. Designed to support the energy and nutritional demands of active lifestyles, the crunchy snacks offer 20 grams of protein and six grams of fiber per serving. “MEAT-SNX™ are the first-to-market ‘protein on the go’ snacks that bodybuilders, athletes, and other fitness enthusiasts have been dreaming of,” said BarnDad’s David Hawk, former Mr. World and Mr. USA, supplement expert, and trainer. Complete nutrition information and other details are available online at BarnDadNutrition.com.